Properly storing fresh food and knowing in which order to cook ingredients are a couple of ways to ensure an A-plus meal prep strategy. Preparing meals in advance and having them ready to eat means you’ll be less likely to make impulse, unhealthy food choices. Here are five ways to make meal prep part of your healthy eating strategy. Instead of thinking about planning for all seven days, start by planning for two or three days of the week. Make a list of the foods and meals that everyone in the household likes to eat and build a recipe book from that list. Bookmark your favorite recipe websites. Each week, select two or three of those recipes and study them when making your grocery shopping list. Get ready for the week with “Meal Prep Sunday.” During the weekend, buy the ingredients you need for the recipes you’re making. It will seem like a lot, but don’t let the amount of work intimidate you. Proteins (meat), whole grains, dried beans/legumes and roasted vegetables are where you should start. If you don’t like reheating cooked meat, at least start marinating it so you can quickly throw it in a pan to cook when you want. Food — especially vegetables — lasts three to four days in the refrigerator before it begins to lose its flavor. Freeze the meals you prepare for days five through seven. They can be defrosted and reheated later and will taste just as good as when they were first made. Leafy greens will wilt if frozen, even for a short while, so keep them separate from the vegetables you plan to freeze. Hardier vegetables such as broccoli, green beans and asparagus can be preserved through blanching — a process where you plunge the fresh vegetable in a pot of boiling water for a minute or two, and then immediately transfer it into a bowl of ice water for a minute or two. You can also freeze whole grains. If you make a big batch of brown rice on meal prep day and freeze some to reheat later, add a tablespoon or two of water to the rice before microwaving to keep it from drying out. In addition to the meals you prep, keep some of these staples handy. 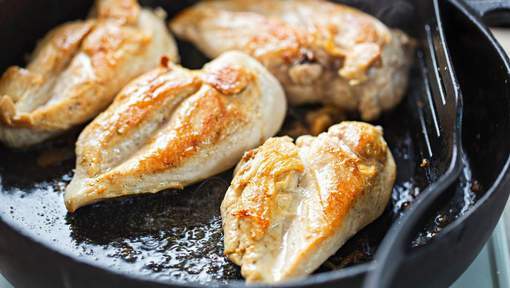 They can be easily added to a recipe for more variety or combined as a new standalone meal. 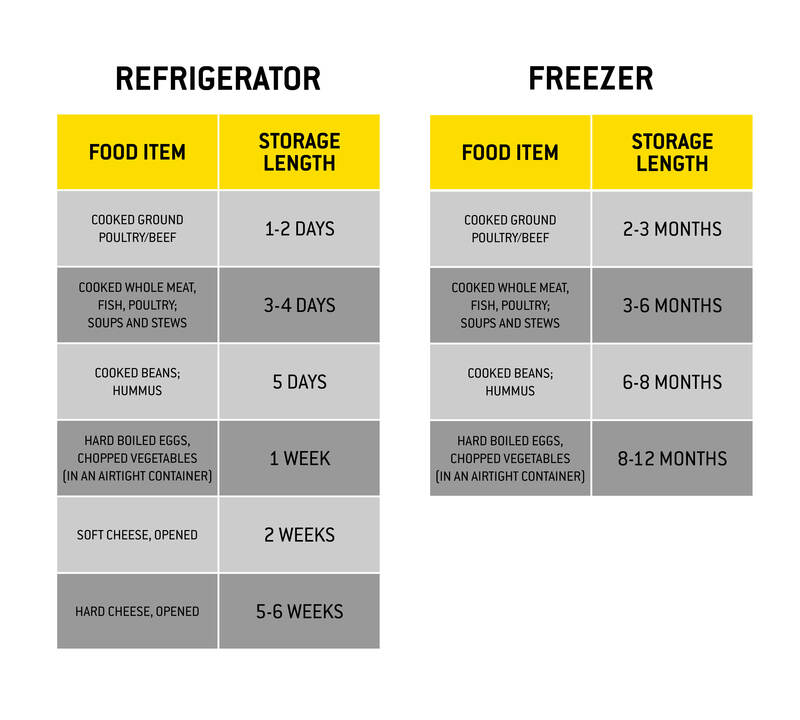 Follow this chart for best practices on how long to refrigerate or freeze foods.